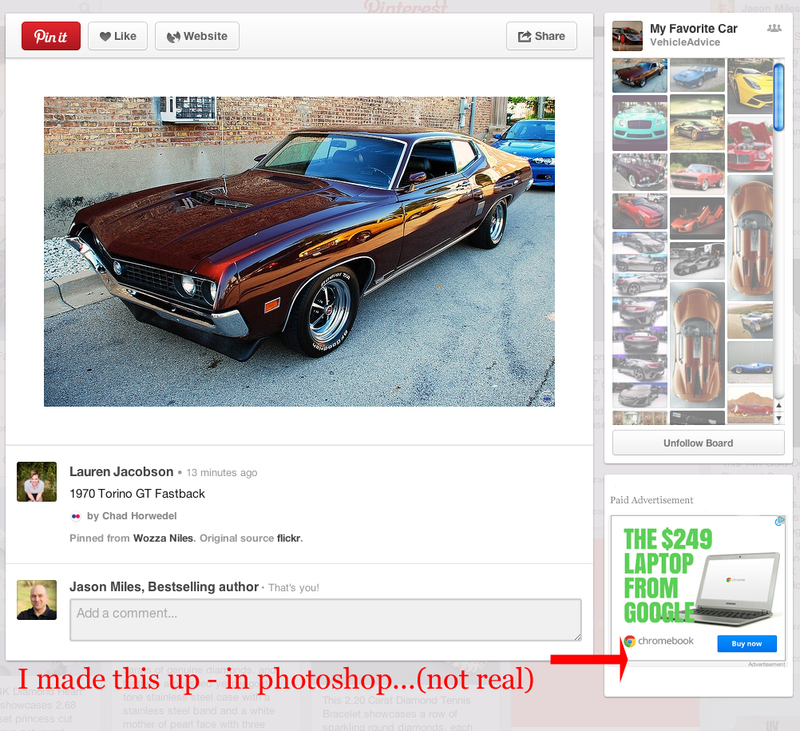 Home › Pinterest Monetization › Is Pinterest Preparing For Ads? 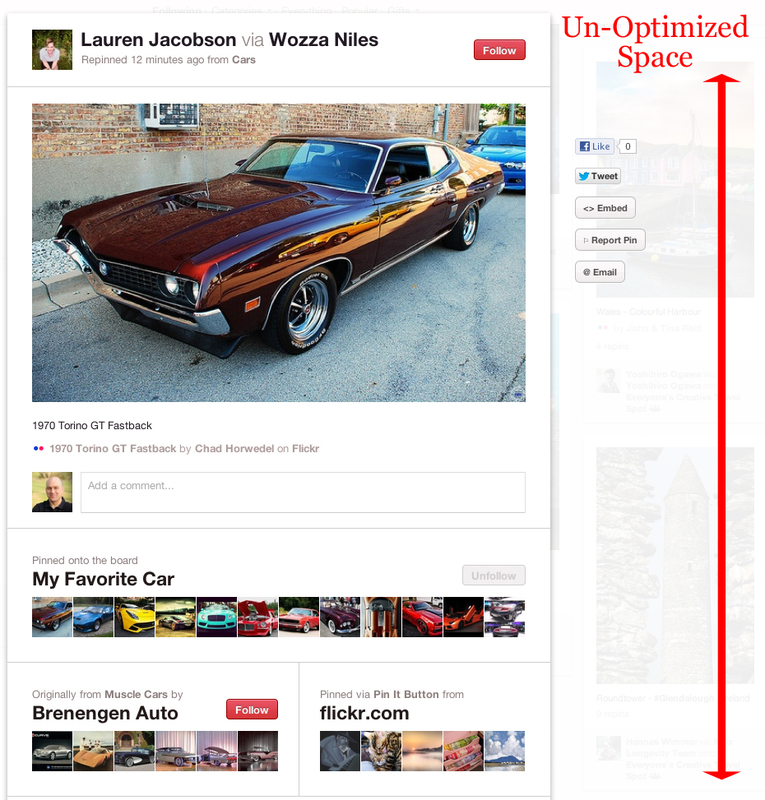 Does Pinterest’s New Look Set The Stage For Advertisements? 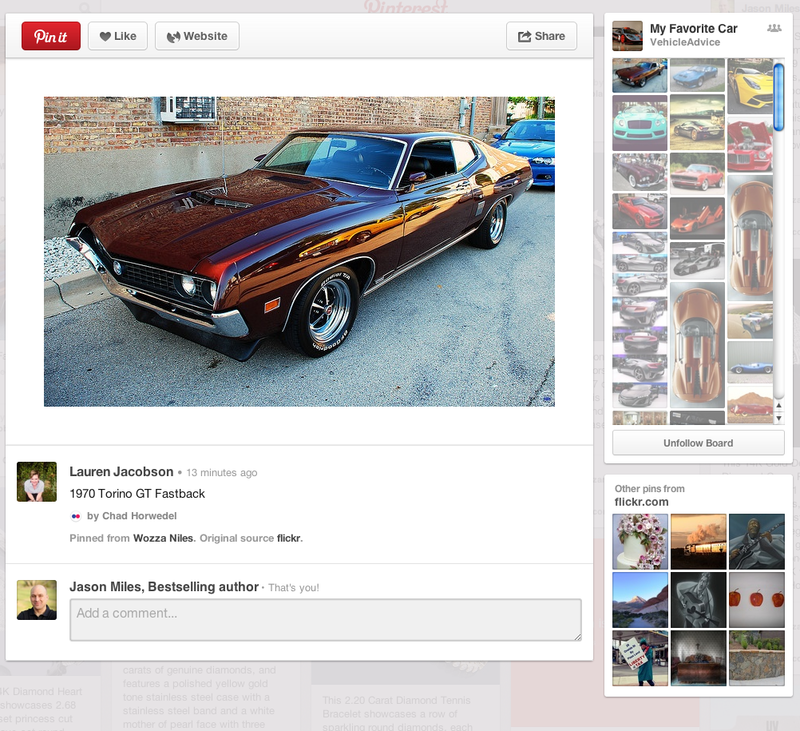 Have you been playing around with the new Pinterest look like we have? You can read about their redesign here. Their stated goal was to tighten up the navigation – read their thinking about that here. Note: I added the Red Arrow! This is the new look of the same pin. Note (again) … I made this in Photoshop – I did not find it on Pinterest. But you could easily see how an ad related to the pin could easily be added in the right hand column. One could also be added to the top header section I suppose. Could they have a better monetization team? … Given the fact that Ben Silberman worked at Google on the display Ad team before founding Pinterest – it stands to reason that this hypothetical future step would not be hard for them to engineer. Of course using their own advertising back-end – similar to Adwords or Facebook’s Advertising platform, (we use them both at Liberty Jane Clothing and love them and we’d use the Pinterest Advertising Platform as well). Especially since last year they hired Facebook’s monetization guru – Tim Kendall. Read my open letter to him about how an alternative to the traditional display ad system could be used. Is it all going to happen as I’m speculating here? Probably not – but eventually Pinterest will monetize.